Garin MacFarlane had 20 kills and eight digs on Tuesday to help Shadow Ridge’s boys volleyball team outlast visiting Foothill, 20-25, 25-27, 25-21, 25-23, 15-13. Jordan Kirk had 19 kills and five blocks, and Justin Ahlstrom had 56 assists and 11 digs for the Mustangs. Caleb Stearman had 26 kills, 22 assists and nine digs to lead Foothill. Matteo Forghieri added 12 kills, two assists and 12 digs, and Chandler Higbee had 33 assists for the Falcons. Liberty 3, Sierra Vista 2 — At Sierra Vista, Jordan Wafer had 12 kills to help the Patriots defeat the Mountain Lions, 25-23, 19-25, 21-25, 25-7, 17-15. Pascal Chavez added 22 kills and 10 digs, and Atapana Malele-Faaifo added 22 digs for Liberty. Sefania Mamea had 45 assists and eight digs, and Chelston Kailieha had 12 assists for the Patriots. For Sierra Vista, Jonny Price had 17 kills, two aces and nine digs, and Juan Ponce had two aces and 11 digs. Jalen O’Neal added 42 assists and 13 digs for the Mountain Lions. Silverado 3, Tech 1 — At Silverado, Jonathan Francis had 14 digs and 11 kills to power the Skyhawks to a 25-17, 25-23, 22-25, 25-16 win over the Roadrunners. Bravyn Aquino had 17 assists, and Logan Edington provided eight kills for Silverado. Clayton Faught had 21 assists, and Jerin Lacson put down eight kills for Tech, which got eight digs from Justin Lolong. Desert Oasis 3, Spring Valley 1 — At Spring Valley, Josh Bastin had 13 kills, seven digs and five aces to lead the Diamondbacks to a 25-17, 21-25, 25-13, 25-15 win over the Grizzlies. Liam Morrissey added 13 kills, 12 digs and three blocks, and Gage Sarna had 32 assists, three kills and six digs for Desert Oasis. 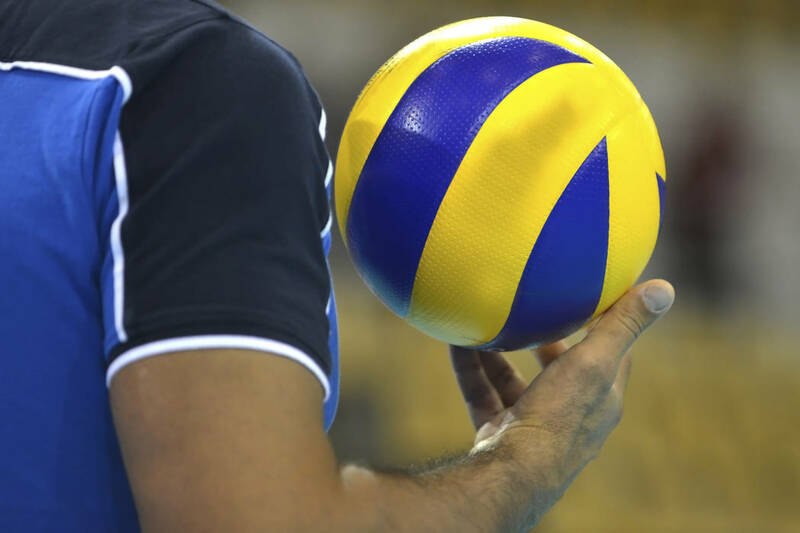 Mariano Saucedo had 11 kills, and Alan Quach dished out 30 assists for Spring Valley. Jakob Repolio had seven blocks, and Cesar Godinez had 16 digs for the Grizzlies. Green Valley 3, Basic 0 — At Basic, Kyle Cronic had 22 kills, six digs and three blocks to lead the Gators to a 25-15, 25-12, 25-13 sweep of the Wolves. Chase Johnson had 10 kills and six digs, and Chase Allen added 32 assists and four digs for Green Valley. Coronado 3, Clark 0 — At Clark, Jacob Ceci had seven kills to help the Cougars to a 25-9, 25-22, 25-21 win over the Chargers. Brian Wightman had five aces for Coronado. Durango 3, Bishop Gorman 0 — At Gorman, the Trailblazers swept the Gaels, 25-21, 25-13, 25-22. Aiden Napoli supplied 24 assists and eight digs, and Bradley Johnson added 12 kills and 10 digs to lead Gorman. SLAM Academy 3, Somerset-Losee 1 — At Somerset-Losee, the Bulls defeated the Lions, 20-25, 26-24, 25-22, 25-19. Caevee Cruz had six kills and six aces, and Payton Walker had six kills and two blocks for Somerset-Losee.